Sanding Stairs Made Simple With Us! Sanding stairs is just one of the quality services we provide. When you need a professional removal of the top surface of your wooden stairs we’ll do the job with speed and efficiency. Don’t worry about the mess – our state-of-the-art machines are dust-free causing little disruption. Our stair sanding experts will give you an accurate estimate after inspection. This quote will be without any obligation! Plus, we can perform stair sanding on a variety of different types of wooden stairs. An extra special discount when you book more than one of our services at a time. Take a look at our quality commercial floor sanding and wooden floor restoration options or any of our other services to qualify! 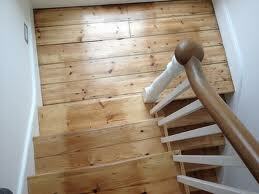 All wooden stairs must be uncovered so we can begin our stairs sanding services. 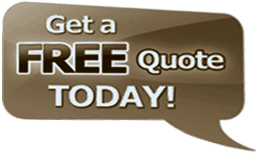 We’ll give you a no-obligation quote without any hidden charges. We’ll repair any loose or sagging boards and fill in any gaps. 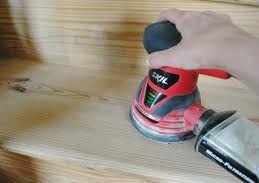 If space is limited we’ll sand by hand, if not we’ll use our dust-free machines for a perfect strip down. Old layers of sealant and paint will be removed by coarse-grade sanding. Medium-grade sanding comes next, and is followed by the third phase which creates the smooth finish to accept the sealant. Our specialists will happily discuss all finishing options to leave your stairway elegant and beautiful once more. Our technicians are all BONA-certified to ensure all sanding of the stairs in your property is professional, reliable and effective. We’ve got over 15 years experience in the industry and know you want a top quality service at an affordable price. We’re passionate about our craft and our workmanship, and will deliver work at extremely high standards. We’re extensively trained in the use of state-of-the-art machinery designed to be dust-free, keeping your premises as clean as possible. We’ll make sure your wooden stairs maintain that timeless appeal! It’s easy to book our stair sanding service by calling us now on 020 3404 6914. Our phone lines are open 24 hours a day, 7 days a week for help, advice and support. If you prefer to talk to an adviser online use our friendly website chat facility. Want to make all your enquiries and bookings online? No problem – just enter your details into our contact form and we’ll get back to you as soon as possible. We’re sorry we can’t give you quotes without seeing the stairs first, so get in touch with us today to schedule your no obligation viewing and book in your job!